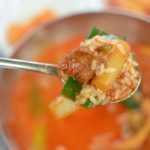 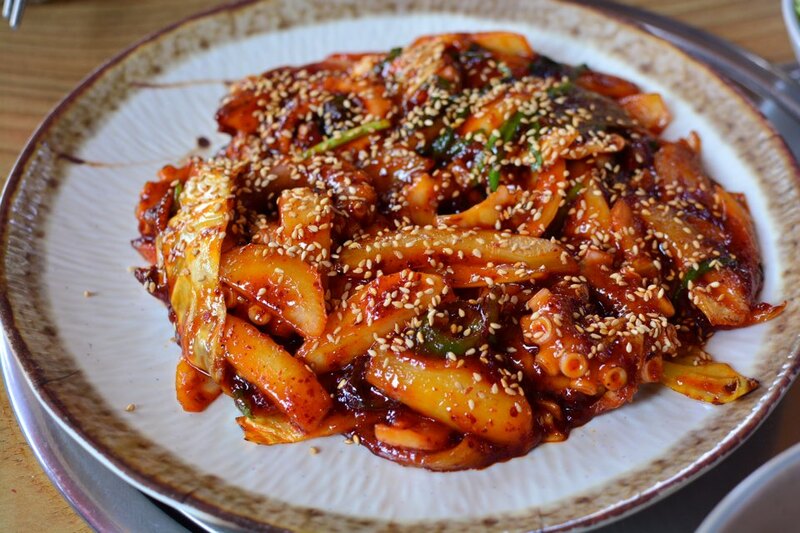 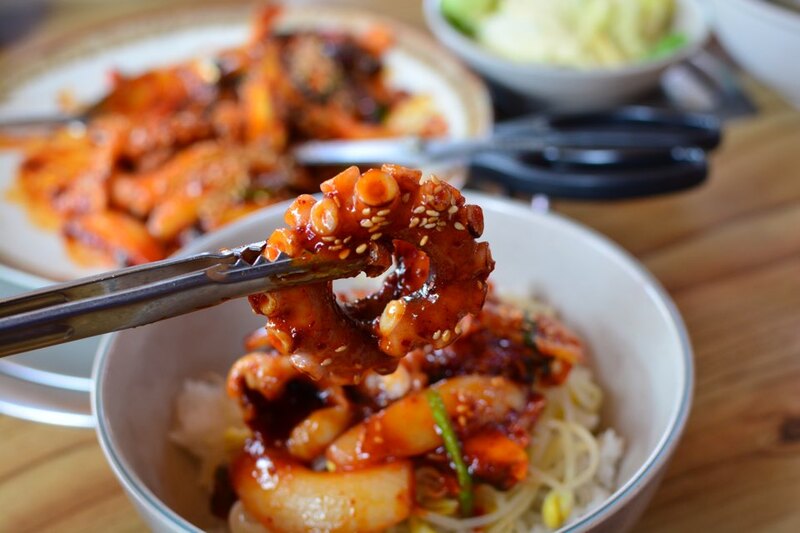 Nakji Bokkeum (Spicy Stir-Fried Octopus) is one of the spiciest dishes in Korean cuisine and it happens to be a weekly favorite of mine, especially when I’m feeling sluggish and need a wakeup call. 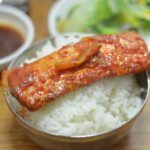 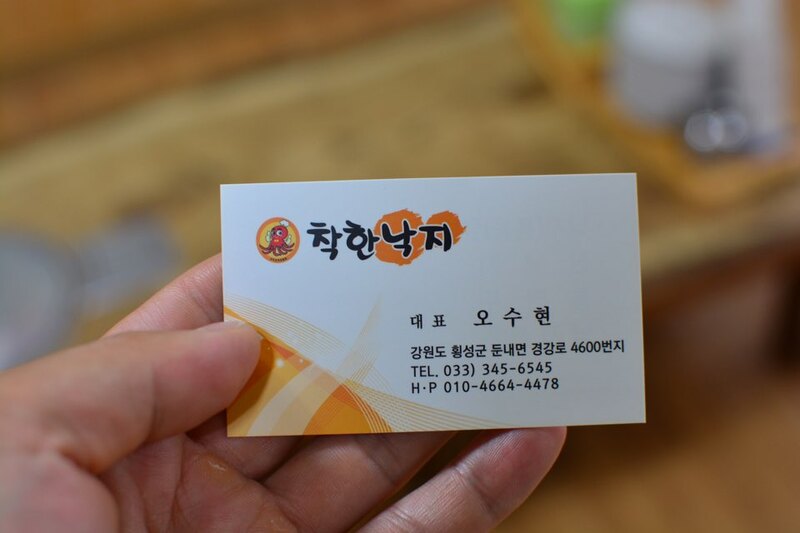 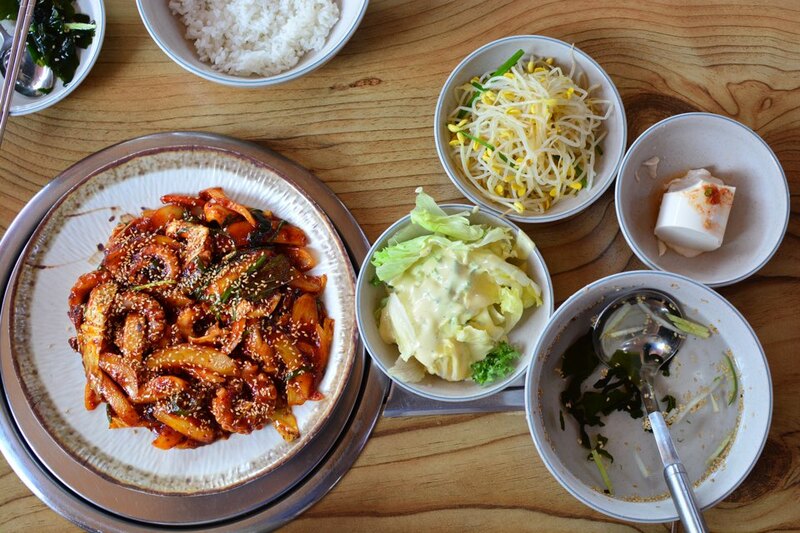 After becoming addicted to the original served in Mugyo-dong, Seoul, I didn’t expect to find a comparable one in my little town — that’s until I came across a chain restaurant called Chakhan Nakji (loosely translated as “Good Octopus”). 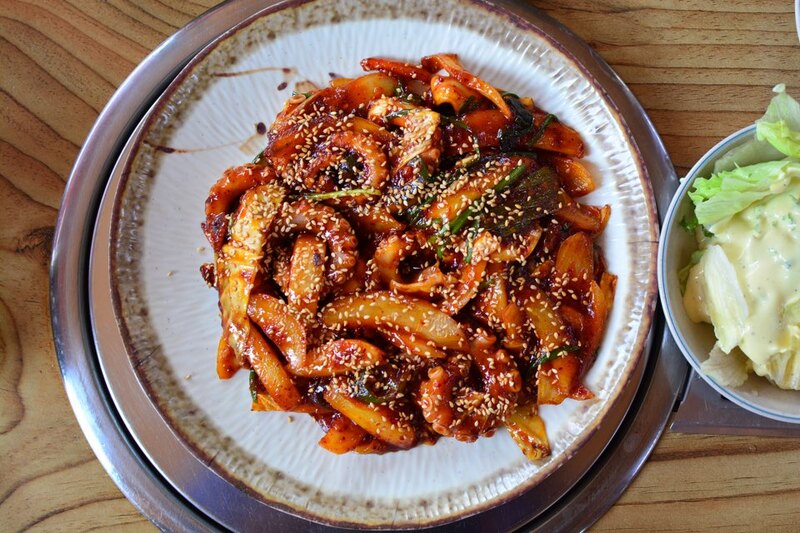 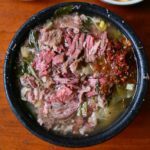 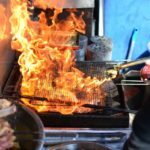 Instead of being doused in a simple gochujang-based sauce, this version includes different chili pepper varieties that’s been sautéed in chili oil, resulting in a dangerously spicy sauce that will not only clear your sinuses but might lead to mild euphoria (the good kind). 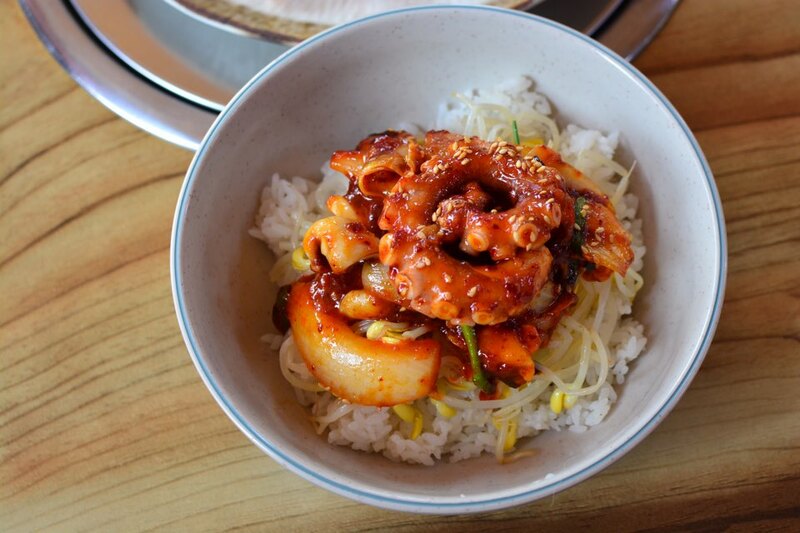 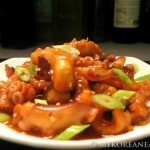 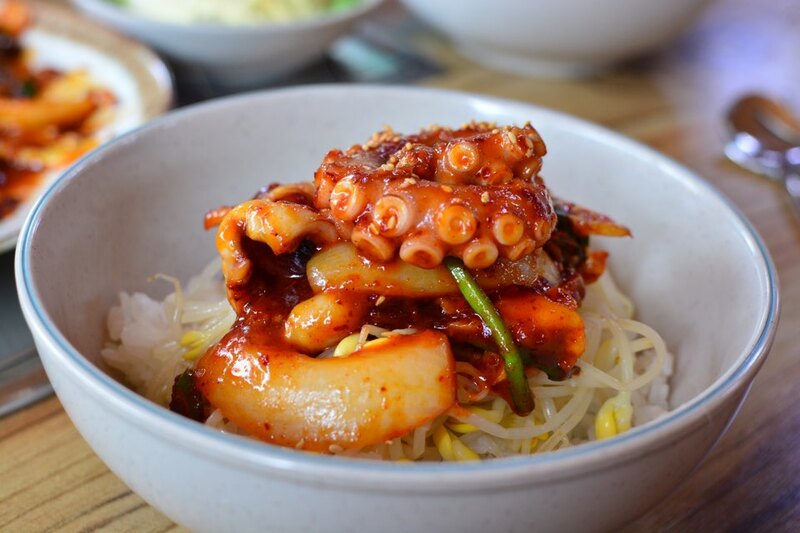 Plump pieces of octopus are cooked to perfection, slightly flash fried to keep it soft and tender, while the accompanying “cold” banchan minimize the intense heat coming from the dish. 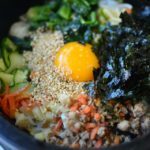 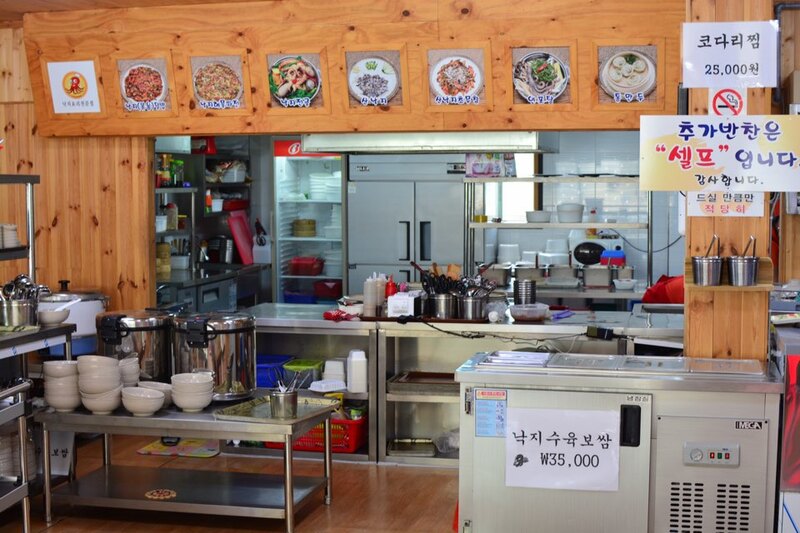 You eat it bibimbap-style with rice and unlimited blanched sprouts that are complimentary and self-serve. 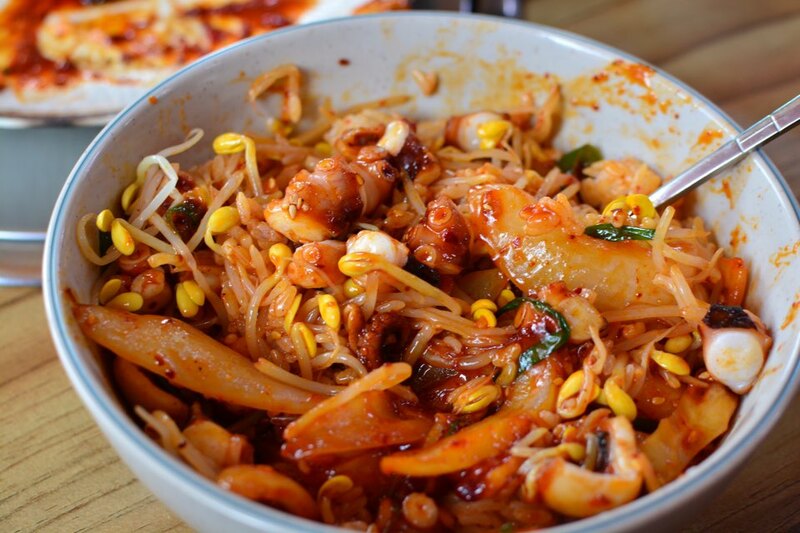 So delicious and hits the spot every time! 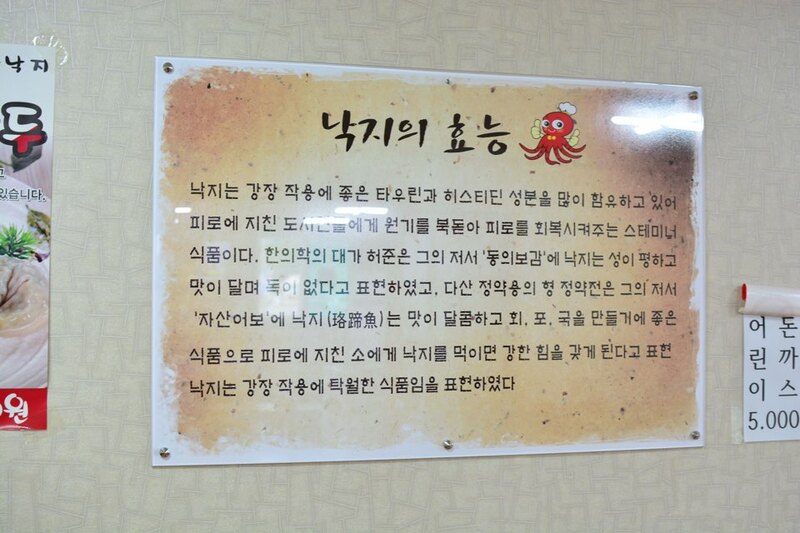 Although they serve other seafood dishes, this is their bread & butter and costs a respectable 10,000 won per person. 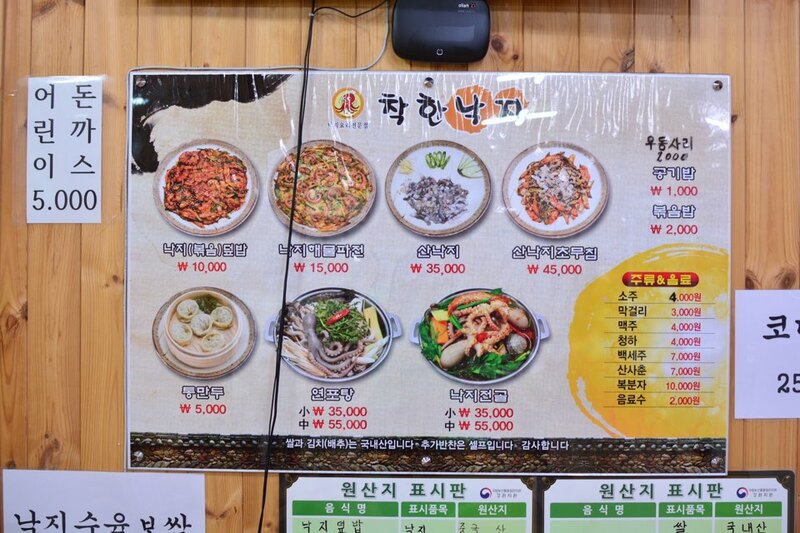 I’m not sure where this chain restaurant originated, but I’m happy that they’ve expanded to all corners of Korea, including multiple locations in Seoul. 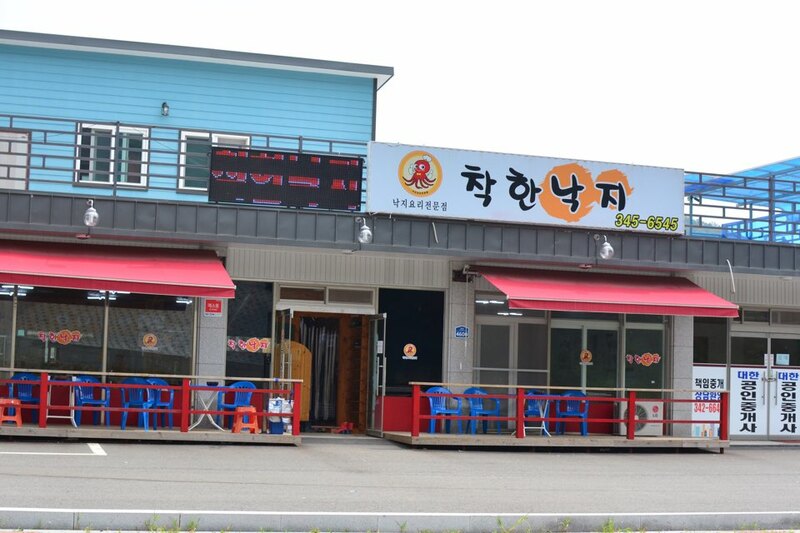 Although I hesitate to promote any franchised eateries, this one gets the nod because it’s that good.